1 Are you Looking to Buy a Polaroid Camera? 5 What Polaroid Would You Buy? Are you Looking to Buy a Polaroid Camera? But don't know which one is the best option for you? Or you are concerned with the photo paper quality? Or the image quality itself? I’ve reviewed 7 best Polaroid cameras so you can find a perfect match in minutes. This article was updated on May 2017 . In case you need a quick pick, click here to see the winner review or take a look at the comparison table here. Don't forget that you need a film and each camera is compatible with different film. Instax Mini 90 is the best Polaroid camera because of it's amazing image print quality, ease of use and its various shooting modes. The only downside we could find is lack of a zoom lens. The rating was based on a mixture of editor's own tests and online reviews. Both positive and negative. Don't forget you'll need Instax Mini compatible film. It's best deal to get 3 twin packs (60 images). In case you're on the budget, Instax Mini 8 is the best alternative (ranked #2 by editor). In today’s highly digitized world, two trends have emerged in photography. More and more people have become “smartphone photographers,” snapping away on their iPhones and posting to Instagram with a hazy filter and radial blur. On the other hand, the wide availability of pro-sumer DSLR cameras has taken casual photography to a new level, allowing even casual users to snap high quality photographs in their own home. But one classic method of photography is on the rise: instant photography. Most often associated with classic Polaroid cameras, instant photography is a convenient way to produce physical photographs without the hassle of traditional printing. If you’re interested in getting back into the Polaroid game, you’ll notice there are an overwhelming amount of options on the market today. Unlike the days where most Polaroids functioned similarly, today instant photo cameras come with a range of features. To help you choose a camera that will suit your instant photography needs, I’ve compiled top 7 Polaroid cameras for you. From the original Polaroid brand’s biggest competitor, Fujifilm, comes one of today’s most-loved instant cameras. The Instax Mini 90 combines retro performance and design with a wide range of creative tools to allow ultimate control over your final images. You can expect to spend about $99.99 on an Instax Mini 90 from various retailers, landing it in the mid-high range of instant cameras. Several exposure modes are available, including Party mode, Kid mode, and Macro mode. Party mode uses a longer shutter speed to expose for the entire image, allowing both the subject and the background to be illuminated. Kid mode uses a faster shutter speed to capture the quick motion of children. For close-up photography, Macro mode allows the user to shoot subjects as close as 30cm. Users can also enable bulb mode to allow for the shutter to stay open for up to 10 seconds, a helpful feature when capturing light trails. And for those with a creative flair, the Instax Mini 90 can create double exposures in-camera. With a small fixed aperture of f/12.7, this camera requires flash in poorly lit areas. The built-in flash does a good job of illuminating nearby subjects, but Party mode should be used if you want to illuminate the background as well as the subject. In addition to the several shooting modes, brightness can be controlled with an extra feature. Choose from Dark (D), Normal (N), Bright (L), Brighter (L+). The Instax Mini 90 produces prints smaller than average instant cameras, at 62mm x 46mm (about the size of a credit card.) Each image is produced with a thick white border characteristic of the original Polaroid pictures, allowing room for the user to make a note underneath the photo. With a retro design reminiscent of traditional instant cameras, the Instax Mini 90 is a refreshing change from the colorful, toy-like instant cameras that have entered the market. Although the black and silver body is made from plastic, it is constructed solidly and feels substantial. A built-in tripod mount allows the user to attach to a tripod if needed, although the mount is located in such a place that the camera can only take vertical shots. The rechargeable lithium-ion battery lasts through about 10 film packs according to Fujifilm’s specifications. 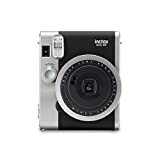 Although it doesn’t have any of the high-tech features of some of today’s instant cameras, the Instax Mini 90 holds its own with its multiple shooting modes, solid picture quality, and decidedly retro design. If you're interested in exploring instant photography without dropping big bucks on one of the Impossible Project's cameras, the Instax Mini is a great option. New High-Key mode - Take brighter pictures with a soft look - perfect for portraits. New improved viewfinder for greater clarity and visibility. Fujifilms Instax Mini 8 is great instant camera to buy in 2017 if you're budget is low. With price tag of from $56.29 it's very affordable. This camera is slimmer and lighter compared to its older model. Core improvement in my option is that Instax Mini 8 has better viewfinder and automatic exposure management. New High-Key will make your pictures brighter and more natural. It's great feature addition for shooting portraits. As usually happens with other budget Polaroid cameras, people start to report bad image quality after using the camera for a month or more. One dissapointed user (a friend of mine), told me that his Polaroid has gone crazy. It started to print 2-3 pictures at the same time. All 3 of them weren't even half printed! It's cute, isn't it? For those who prefer to air on the more modern polaroid camera, the Polaroid Snap offers a range of nifty technical features in a contemporary package. The biggest difference between the Snap and other cameras on our list is that it doesn’t actually take film; it’s actually a digital camera that instantly prints photos. At only $76.99 , the Snap is an affordable digital-film hybrid that’s sure to make a splash at parties and social events. Polaroid’s innovative Zero Ink (ZINK) technology allows users to print their photos instantly without ever having to purchase film. Instead, it takes ZINK paper, which is much cheaper than film at about $0.50/shot. The Snap’s paper tray, which is located on the back of the camera, holds 10 sheets at a time. For those who enjoy some artistic license in their instant photography, the Snap has a range of features to alter your final images. Choose between normal color, sepia, or black and white by adjusting the color mode button, located on the left side of the top of the camera. To the right of the color mode button is a border option, which prints photos with a small white border. In addition to the instant print, the Snap has a slot for a microSD card to allow you to save photos to be downloaded to your computer, a combination that speaks to today’s age of social media sharing. No more taking pictures of a print with your smartphone and uploading to Instagram – the Snap allows you to have your print and share it, too. As far as picture quality, the Snap’s prints are virtually indistinguishable from original Polaroid prints. Despite its 10 megapixels, the photos are decidedly low-resolution once uploaded from the memory card. Stick to your trusty DSLR if you’re in need of excellent digital picture quality. The Snap produces prints that are 2x3” in size. And its most unique feature: the prints are actually stickers. An adhesive backing can be peeled off to turn your print into a sticker. Prints are produced just 35 seconds after you press the shutter button, a noticeable improvement from Polaroid’s previous models, which took up to a minute to print. Its sleek, compact body is small enough to tuck away in your pocket. The minimalist design is brightened up a bit with the small rainbow stripe crossing half the front of the camera. A standard tripod mount is located on the bottom of the camera body. The Snap is outfitted with an internal rechargeable battery. Simply plug it in to a power source through the microUSB port. A battery light on the back of the camera will indicate its charge level. Next to this light are indicators to alert you if you run out of paper or if you do not have a microSD card inserted. 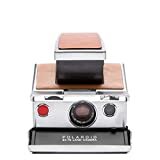 The Polaroid Snap strikes a perfect balance between classic tradition and modern convenience. Instant pictures combined with the convenience of modern technology make this perfect for Polaroid lovers who are ready to step further into the digital realm. Image quality is impressive; the photos are vivid and detailed but with a retro look. The camera is really easy to use and it develops photos in under the minute. The small size makes it easy to carry around in your pocket. Motion shots are often blurry. It doesnt handle landscapes very well either. Its more suitable for portraits. This small and lightweight Polaroid camera reminds us of the joys of instant photography. It has four scene settings that you can select via top dial. Depending on the shooting situation and ambient light, you can choose one of those scene settings from “indoor” to “fine”. When it comes to battery life, well, you don’t have to worry about that because all the power is being drawn from the film cartridge. If you are a ‘90s kid or older you probably remember how this works. There are only ten shots in each film package, which you buy separately. Once you turn the camera on pulling the lens element out, you activate the shutter button. When you press that button a single frame is exposed and it appears at the top of the camera. The image quality is astonishingly good but images still have that traditional Polaroid aesthetic with slightly faded colors. The lens is also really sharp, but the film size can hide a lot of flaws. However, that film is kind of expensive and that is one of the very few flaws of this cute instant camera. Anyhow, the Polaroid Pic 300 is an adorable reminder of the beauty of instant photography. From the same company who produces the SX-70 comes the Impossible I-1, a modern twist on a classic camera. With similar picture quality and a gaggle of high-tech features to take your work to the next level, the I-1 is perfect for those who love instant film but also prefer the creative freedom to shoot in manual mode. The camera can be purchased for $48.99. At this price point, it’s not a camera for the casual Polaroid shooter, but dedicated instant photographers will happily spend the extra cash for what is one of the most advanced instant cameras on the market. The I-1 takes Impossible I-type film, which can be purchased along with the camera or separately. It also works with Polaroid 600 film. The photos taken by the I-1 are on par with traditional Polaroid images. There is a general "lo-fi" feel to them, which is overall part of the appeal of Polaroid pictures in the first place. The most noticeable differences between the SX-70 and the I-1 are the addition of several modern technological features. Inside the camera is a Bluetooth radio, which allows the user to connect the camera to their smartphone. From the I-1 app, the user can then adjust the camera’s controls to create an image to their exact specifications. Users can manually control the shutter speed and aperture from the app’s interface, a feature lacking in most of today’s instant cameras. Additional creative features within the app include the ability to take double exposures and long exposures (say, for light painting.) You can also use the app to trigger the camera remotely, making for a convenient self-portrait experience. For those who prefer a more straightforward shooting experience, the I-1 can be used as a simple point-and-shoot, although most who will drop over $300 on an instant camera will do so in order to take advantage of the ability to control exposure. The Polaroid SX-70 is the ideal camera for instant photographers who want to expand their skillset. It's a folding SLR camera with a glass lens, for unique depth and control when shooting. The SX-70 was the first instant SLR ever made, and the first ever camera to use integral instant film. It's also one of the most beautiful cameras ever made, with a folding brushed chrome body and leather trim. It has an automatic exposure system, and allows manual focus as close as 10.2 inches (26cm). Beloved by artists and photographers since Andy Warhol and Ansel Adams, this is a beautiful camera with a storied history that still makes great photos today. The SX-70 has been carefully refurbished and comes supplied with a new Impossible frog tongue to shield photos as they exit the camera. t provides high-quality images with automatic exposure, but it also allows you to fine tune exposure to your taste. Produced by The Impossible Project, the Polaroid SX-70 is everything you’ve ever wanted in an instant camera, combined with exceptional picture quality and high-tech auto exposure features. At Currently not available plus the cost of film, it’s not a toy, but an investment for the serious instant photographer looking to expand their skills. Multiple film types are available for use with the SX-70. Each film has a relatively low ISO, which allows for pictures with less grain and more clarity. However, the low ISO means that you will need more available light for a clear, well-exposed photo. Outfitted with a high quality 116mm f/8 lens, the SX-70 is capable of producing photos that will appeal to even the most discerning instant photographers. Photos taken with the SX-70 are exceptionally clear in comparison with most instant film cameras. The unique auto exposure system automatically compensates for bright or dark locations. A wheel on the front of the camera allows the photographer to fine tune exposure to their taste. Unlike many of the instant photo cameras on today’s market, the SX-70 does not come with integrated tech features like memory cards or Bluetooth capabilities. That’s hardly a drawback for true instant photography aficionados – it only adds to the authenticity of the experience. Photos printed by the SX-70 are measured at 79x77mm, a notable improvement from most of today’s medium format SLRs which typically produce photos at 56x56mm. And at less than half the size of medium format SLRs, the SX-70 has made a name for itself as the small camera who produces large prints. One of the most notable features of the Impossible Project’s SX-70 is its classic design. Its small size is made even more impressive with its ability to fold into a flat piece capable of fitting in most jacket pockets. The camera is constructed out of plastic, but a heavy chrome plating protects the plastic and gives the camera a heavy, solid feel. High-quality leather covers the plating, giving the SX-70 a truly luxurious aesthetic and feel. If you're a serious Polaroid buff, you absolutely can't go wrong with the SX-70. Its picture quality, luxurious build and high-quality film make it the top choice of serious instant photographers everywhere. It uses the large Instax Wide instant film which is creating larger, charming prints, just like old instant cameras and the image quality is great. The Instax Wide 300 is a big camera with an optical viewfinder, a prime lens and a big handgrip. It also has a flash that fires automatically in low light situations even if you didn’t turn it on. When it comes to exposure control, you only have brighten or darken functions, so you don’t have a lot of creative power. The Instax Wide 300 feels very plasticky, but for its price that is just fine. As we already noted, it is a big camera that looks pretty much like a standard Instax Wide camera with its minimal design. On the front you will find very little, on the top of the camera is the ejection port for the picture as it comes out. The back of the camera is also very minimal: you will find a few controls which are displayed on the LCD screen and the viewfinder on the side, which isn’t a usual place for it, but it is very helpful sometimes. Of course, the minimal design of this camera makes it very easy to use. When it comes to image quality, there is no better way to describe it than what I read somewhere and that is “Pleasantly LoFi”. You will enjoy what this camera can do if you are a fan, but if not, you will probably hate it. What Polaroid Would You Buy? Which instant camera you should buy highly depends on what your needs and budget are. If you want to print pictures taken with your phone you should get a phone printer instead. 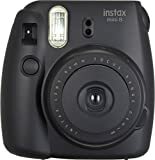 If you want to buy a great budget Polaroid camera, you should consider Instax Mini 8. 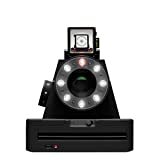 For premium quality Polaroids, check out I-1 and SX-70 from Project Impossible. Whichever camera you decide to buy, I hope you'll have a lot of fun with it! Don't forget to leave your opinion in the comments below. I'm a New England-based photographer specializing in equine, pet, and portraiture photography. My profound love for animals is complemented with a unique ability to capture the bond between people and their beloved pets. In addition to pet photography, I like photographing families and children. When I'm not behind the camera or on a horse, I can be found snuggled up with my pup and a good book, or writing an article on Photography Anytime. Next StoryCanon EOS Rebel T6i vs Canon 70d – Which One is Better? Amazon Affiliate Disclosure: PhotographyAnytime.com is a participant in the Amazon Services LLC Associates Program, an affiliate advertising program designed to provide a means for website owners to earn advertising fees by advertising and linking to amazon(.com, .co.uk, .ca etc) and any other website that may be affiliated with Amazon Service LLC Associates Program. Read full disclaimer here. Trademark dislamer: Amazon and the Amazon logo are trademarks of Amazon.com, Inc. or its affiliates.